Are you a webmaster who struggled to get more visitors for your website/blog? You are in the right place to gain more visitors to your website/blog. Maybe, this is the perfect time for you to use my review service, Website/Blog Best-Cheap Review Services. I will review your website/blog with the best effort with a relatively affordable cost in professional way. Pinterest is one of the best social media platforms for business owners and common users with over 70 million users worldwide. To get more people visiting your website thus you must check out these 3 FREE tools that will help. High speed internet services have become a primary need to be able to support activities that require an internet connection that can deliver large amounts of data, stable, resistant to extreme conditions, safe and do not require intensive care. Chaos that occurs between the Indonesian Football Association (PSSI) and the Minister of Youth and Sports (Menpora) Imam Nahrawi has become a long story complementary Indonesian football history. Since then Menpora released a letter containing the decision of freezing the PSSI and continued with a firm stand La Nyalla Mattalitti defend legality, will the Indonesian football "suspended animation"? Motorcycle Driving is fun for a lot of people in general, but not to such a preoccupation can harm themselves let alone anyone else because of course would result in the revocation of letters completeness driving like a driver's license (SIM) and a Certificate of Vehicle Number (vehicle registration) plus the cost of hospital care is increasingly expensive and difficult redeemed by health insurance though. Completeness Check Driving Letters: Anticipating the examination of drive letters such as a driver's license (SIM) and a Certificate of Vehicle Number (vehicle registration) then you should always make sure has brought it. Doing Warming Body: In order to remain in the body and mental condition fit and ready to drive it is important to always keep balance while riding a motorcycle. Using Driving Equipment: Equipment can drive consists of a helmet, footwear and clothing. Use a helmet equipped with fixings. Use footwear that reduce injuries when they have to rely on foot. Use comfortable clothes and be able to protect themselves, especially in weather conditions can change. 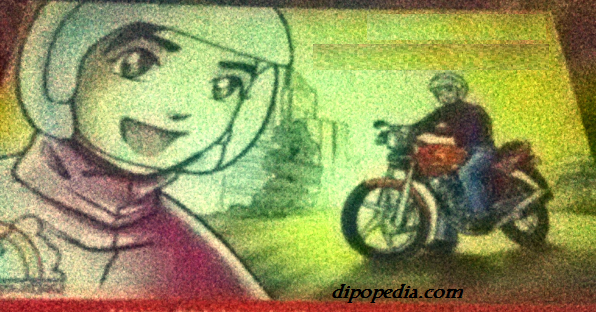 Condition check Motorcycles: Examination of the condition of the motorcycle may include the condition of the tires, lights and rear-view mirror and brakes. Keeping Posture: Currently on a bike, sit in a position where easy operation handlebar steering and brakes and keep the focus remain vigilant view both forwards and to the side and the right side to the left, to the rear then use the rear-view mirror to see conditions behind. Operation Brakes: Use with a balanced brakes front and rear brakes when to lay off a motorcycle. Using Line Road: Take advantage of the left lane of the road, but if you must use the right lane to be extra vigilant in order to avoid an accident. Doing Moving Line Road: Given traffic conditions sometimes force motorcyclists to change lanes then do not forget to use a blinker switch (turn signal). Line Passes the Cross Roads: Given traffic conditions sometimes force motorcyclists to change lanes then do not forget to use a blinker switch (turn signal). The Road Passes the Not Prevalent Conditions: Generally, the road is made in such a way that is safe and comfortable to walk on, but not often a motorcycle rider must pass through the road with unusual conditions are like muddy, rocky and other extreme conditions, because the motorcyclists to be more vigilant to avoid an accident. Obeying signs Traffic: To facilitate the setting drive in general there are various traffic signs are easily understood and obeyed therefore it helps a motorist to increase knowledge about traffic signs. Infinity is one of the latest song of famous singer Mariah Carey from the United States. The song is packed together with his old songs that became hits on the charts in many countries are like Vision of Love, Love Takes Time and Someday well as 15 other songs. The total number of songs in the album # 1 is packed to Infinity officially released on May 15, 2015 and is 19 songs, all of which deserve to be heard. Subdomain is part of a domain that is generally available for free as a way a person or organization for a variety of different things ranging from content includes text, video or images, and other over the internet. Examples of subdomains that popular a blog is blogspot.com (disediakan oleh blogger.com), wordpress.com and tumblr.com. Each subdomain that has been mentioned does not provide facilities other than create a blog format has it determines. We all aware that YouTube is a force to be consider with. It is without a distrust the largest and most prevalent social video channel, and its dominance won’t derogate any time soon. Feedburner's BuzzBoost widget can help you to display the latest posts and recent comments in your RSS Feed. The widget publish your feeds in HTML (HyperText Markup Language). The widget automatically raises the attribution to the Footer section that reads "Headlines By Feedburner". Arwah Goyang Jupe-Depe is a film production Gobind Punjabi featuring two female movie stars Julia Perez and Dewi Perssik. The horror film was originally entitled Arwah Goyang Karawang which then had to be replaced following the protests Karawang art community who are concerned will perception of the general public about the real Goyang Karawang. Judging from the contents of the film which tells the struggle Lilian actually played by Julia Perez is the story of most people who are trying to survive at the same time trying to maintain the national culture, especially the art of dance Goyang Karawang but probably because it contains scenes of vulgar and controversy makes this film was given a lot of negative criticism, especially when Julia Perez and Dewi Perssik really fight when the film is being made. Dewi Murya Agung or better known as the Dewi Perssik (abbreviated as DP) is an Indonesian dangdut singer who is also a wide-screen movie player and soap operas. He claimed a Chinese descendant of grandmother from H. M. Aidil (father) and Hj. Sri Muna (mother). Yuli Rachmawati or better known as Jupe (abbreviation of Julia Perez) is a presenter of Indonesia who is also a model, a sitcom actress and singer dangdut. Began his career in France, Jupe had nominated 100 sexiest women of FHM and Maxim magazine. Verify ownership of a website / blog is not a significant thing to do but it's good that steps be taken. In verifying ownership, in general, the webmaster - so common designation managing web sites / blogs - take advantage of various online services both free and paid. By verifying ownership of the website / blog that they believe that a website / blog is quite significant in the eyes of the robot crawls owned by search sites like Google, Bing or Yahoo! and others. Seeing the fact many people use Google to search the internet then the webmaster should verify through Google Webmaster Tools. As for the further development, webmasters also need to verify a website / blog that they manage to Bing Webmaster and Yandex Webmaster. To verify a web site / blog on Google, Bing and Yandex can be done for free and do not take a long time (of course depending on the speed of data transfer of the internet connection used) as well as easy. PTCIndo, Primaklik and KlikAjaDeh are three different web sites but has the same kind of services where the users of its services have the opportunity to earn money from the internet with the terms and conditions and predetermined manner and must be obeyed. Despite having terms and conditions and treating the same way in both service users PTCIndo, Primaklik and KlikAjaDeh distinct added value for the users of its services. Similarities between the three well PTCIndo, Primaklik and KlikAjaDeh require users to access some of the ads that have been determined. Users will be paid if the ad is allowed to leave the window open within a certain time if it does not, for example, users move the window, then the countdown timer installed will stop and of course this will make users be longer to obtain the expected added value. Indonesian Movie Awards is an award event for film-makers who since 2007 ago to cultivate appreciation to the best film actor who has the talent and achievements. Screen Gold Cup into a trophy that share at this annual event. In addition to award the best category chosen by the Jury, Indonesian Movie Awards also gave awards to the category where the winner is elected directly by the public through a poll SMS (Short Message Service). Marvel turns out to have some bloody superhero Asia although rarely featured in the film. Who are they? That means, rarely or even no Marvel superhero coming from Asia that is displayed in the film production. Whereas in the pile of comics, Marvel has published several superhero who comes from Asia. Which superhero who comes from Asia? Here's the review! Google Webmaster Tools is a free web service by Google for all webmasters. It allows all webmasters to analyze indexing status and hone visibility of their websites. Google re branded Google Webmaster Tools as Google Search Console, As of May 20th, 2015 with no feature updates to the existing Webmaster Tools. Reason of name shifting was Google want to make sure that their product includes everyone who cares about Search. Now, you can combine multiple excel workbooks, xml and csv into one summary workbook with an excel add-in so called RDBMerge. At first, just download and extract the correct version to a local directory. Copy and paste the RDBMerge on your system to a unprotected directory. Begin your new session on Excel and open a new workbook. In June and July of last year, Muslims in Indonesia should undergo fasting in Ramadan. By utilizing Facebook, they spend a lot of time, especially starting at 9 pm until midnight during Ramadan last year. Facebook noted an increase on average by 70% the number of active users every hour before midnight. To Whom European Champions League final in 2015 Will Be? Juventus or Barcelona? Olympiastadion will be a silent witness to a battle of two of Europe's best clubs in the Champions League from 2014 to 2015. The stadium is located in Berlin, Germany is a stadium which was established to support the 1936 Summer Olympic event. In the heyday Olympiastadion has a capacity of 100,000 (One Hundred Thousand) audience but rejuvenation of the stadium facilities makes its capacity shrank to 74 475 spectators. Although not diminish its capacity to shrink fanfare activity in it. European Football Organization even chose it as the crowning point of the 2014-2015 Champions League will be contested by Juventus and Barcelona. Juventus and Barcelona are the two top-level football clubs were not only dominated the competition in their respective countries. Juventus is the sole ruler League summit race for the Italian Serie A title with a collection of as much as 31 degrees. Although his performance was marred by cases Calciopoli in 2006 that led to Juventus had to play in Serie B, but it does not diminish his zeal to show the strength of their actual return. Juventus even able to defend the title won Serie A since the 2011-2012 seasons until 2013-14. Position Juventus in the Serie A standings League 2014-2015 season has been steady at the peak of its competitors such as Roma, Lazio and Napoli will not be able to exceed the value of which is owned by Juventus match. Now, Juventus just need to concentrate on the peak of the Champions League against Barcelona. Barcelona condition does not vary much with Juventus, the club is based at Camp Nou also has a great chance to clinch the Champions League title to complete the La Liga title that had previously achieved. Dipopedia - Partikular Pedia Daring is a website that delivers a variety of content that includes discussion of diverse themes. Dipopedia can be accessed through the URL (Uniform Resource Locator) http://www.dipopedia.com from the date of May 20, 2015. To be able to reach more readers then Dipopedia utilizing social media such as Google Plus with a URL (Uniform Resource Locator) https://plus.google.com/108729123067534812471. In addition to utilizing Google Plus, Dipopedia also use other social media such as Facebook (https://www.facebook.com/Dipotargets) and Twitter (https://twitter.com/Dipotarget). As a web site that aims to be able to add insight for visitors, Dipopedia always trying to bring fresh and valuable content. In addition, in order to have its own characteristics, Dipopedia also use a special identity in the form of a logo or favicon is made such that it easier for visitors to recognize it. 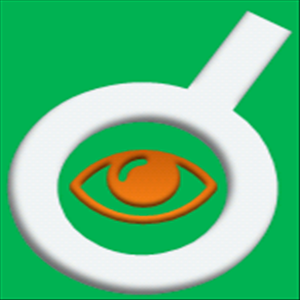 The logo and favicon in the form of a picture or a magnifying glass (magnifier) white and colored eyes keemasaan image against a green background. Glass image reader (magnifier) was chosen to represent the nature of human curiosity to dig up information on anything while the eye image chosen to represent the nature of human awareness of the circumstances around it. As for the visual, image or logo and favicon from Dipopedia can be seen in the image below. Thus I can Happenings Dipopedia, Dipo Dwijaya S convey briefly. And humbly, I thank you for the visit and your support.